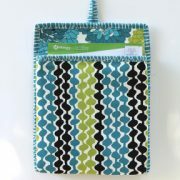 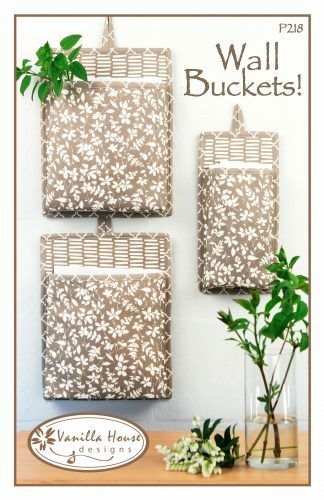 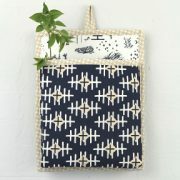 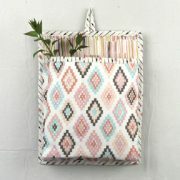 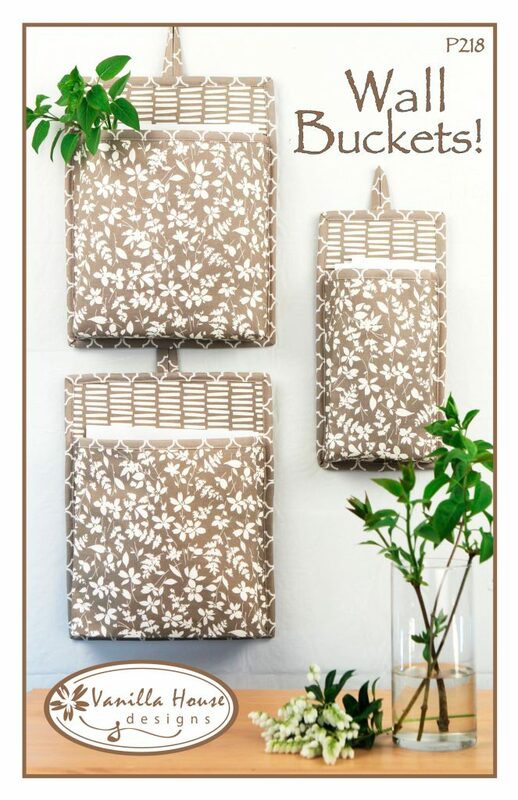 Two sizes of fabric pockets that attach to the wall and hold all sorts of things like papers, mail, gadgets, tools, etc. They have one flat side that sits flush against the wall with a 2″ gusseted pocket attached. 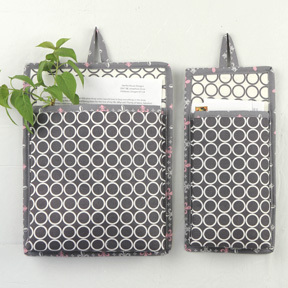 With an inner layer of stiff interfacing, they are made with cotton prints and trimmed with custom-made double-folded coordinating trim. 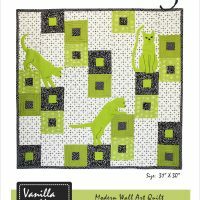 Fleur-de-lis applique designs included and a web address for a dozen more appliques you can download. 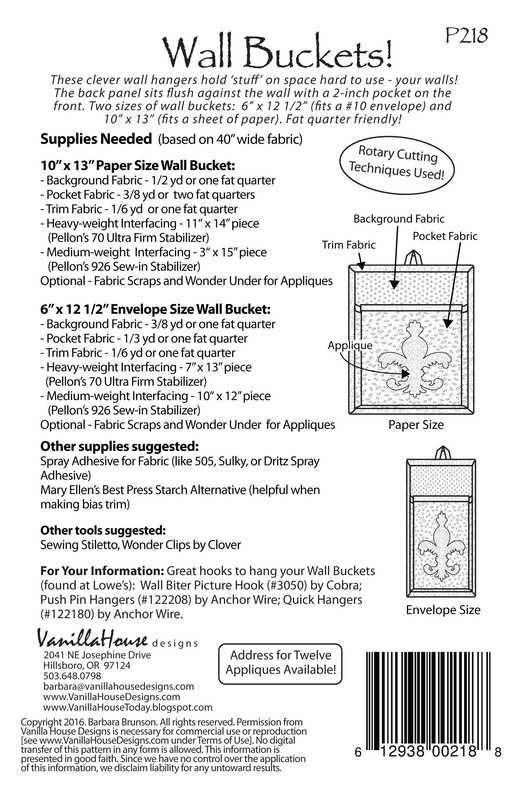 Two sizes: Large (10″ x 13″) fits a sheet of paper, envelope size (6″ x 12 1/2″) fits a #10 envelope. 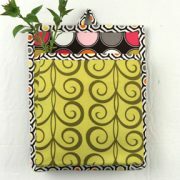 Fat quarter friendly!